Guilt vs. Grace | God's Abundant Blessings! 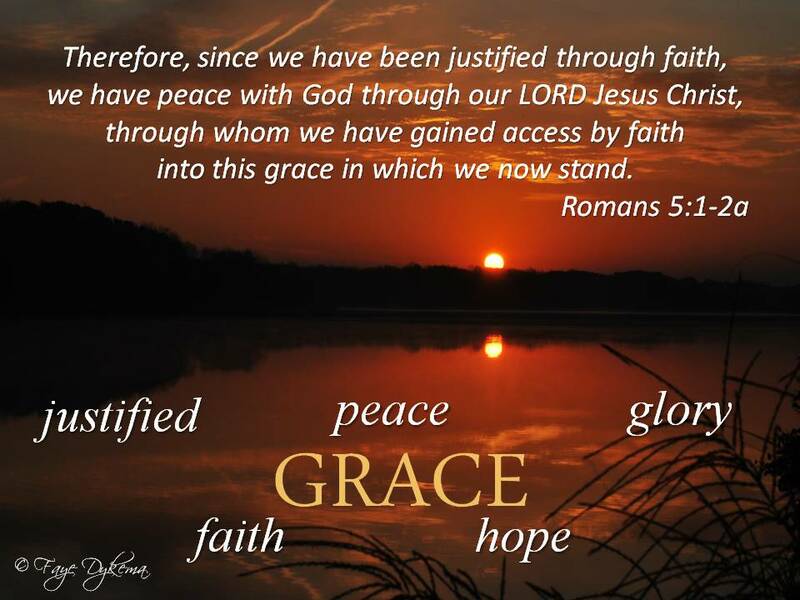 Posted on February 16, 2012, in God's Blessings, God's Grace and tagged blessings, forgiveness, God's love, grace, guilt, joy, receive, Romans 5:1-2. Bookmark the permalink. 9 Comments. So thankful we can rely on the grace of God. Grace from God. The grace of the justified. Grace that brings peace. Love covers a multitude of sin and the greatest love was when Christ gave His life for our sins. It is all about His grace. Laura, I agree. It’s such a fine line between being concerned and worry. So grateful God’s in control.